A bed is possibly the most important furniture purchase you'll make for your home. After all, you'll spend one-third of your life in it. 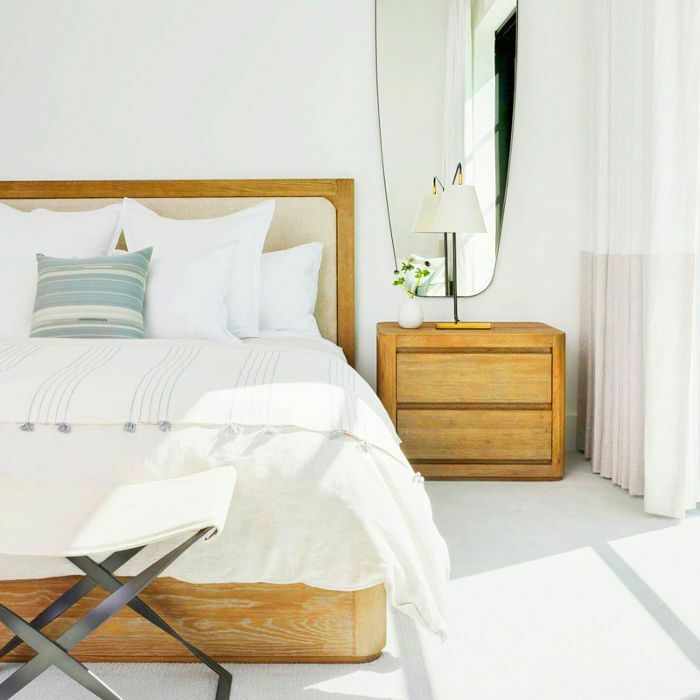 So while we may recommend you cut corners on other décor accessories or smaller furniture, like accent tables or even nightstands, a sturdy, good-quality bed is well worth the investment. But here's the thing: If you want to love your bed for a long time, it's not the time to go all out on a trend or an overly ornate piece. Instead, we recommend minimalist beds that will stand the test of time. Minimalist doesn't have to mean boring. There is a multitude of ways in which you can add visual interest to a minimalist piece, including color, texture, and pattern. 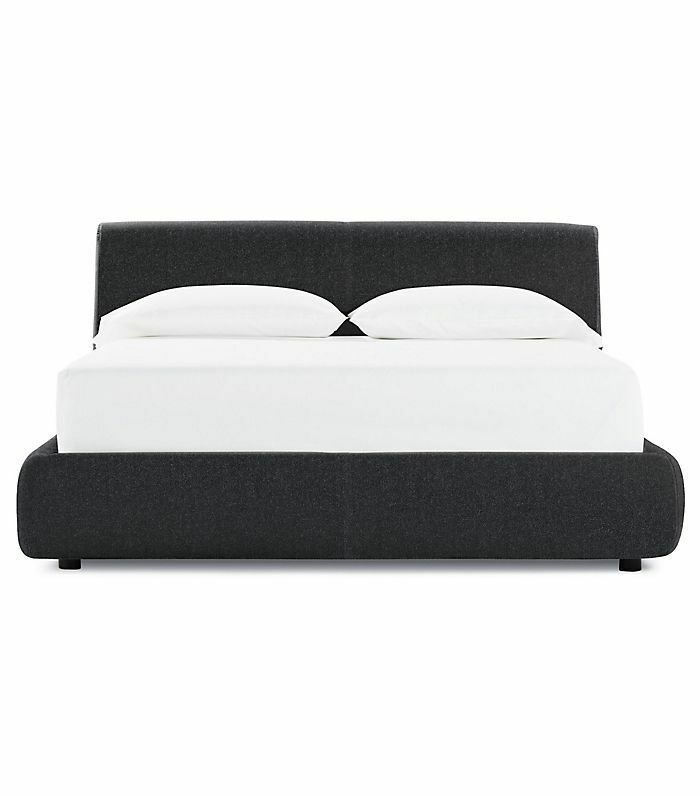 But a great minimalist bed will always put function above form. Are you the type to sit in bed for hours reading? Do you like to be close to the ground? Whatever your sleeping preference is, we have the right bed for you. 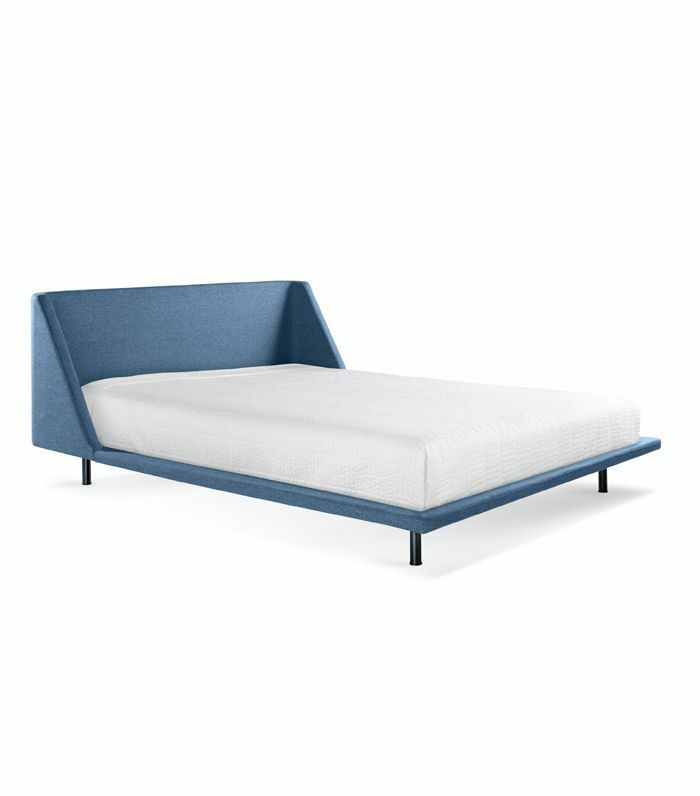 Here are our favorite minimalist beds on the market right now. 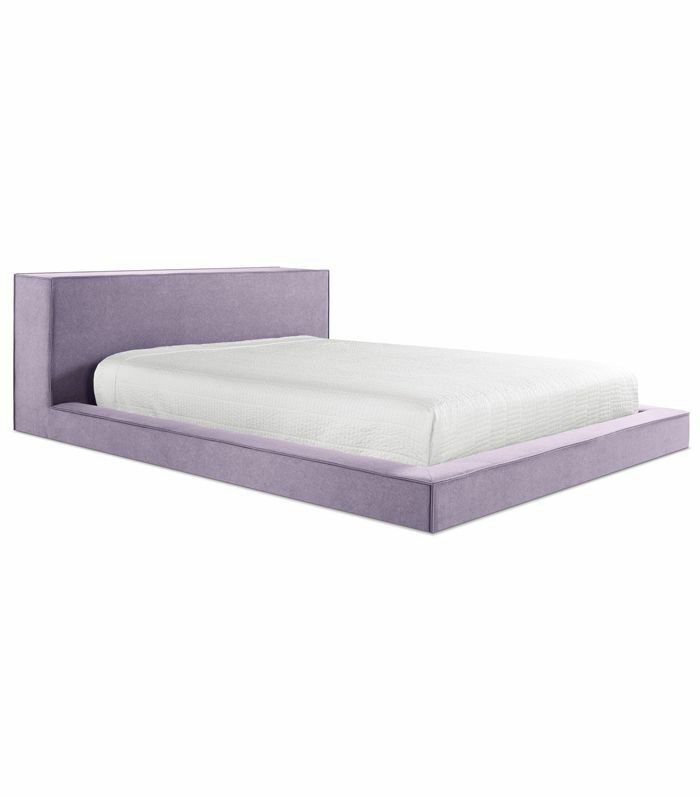 Available in five colors ranging from neutral to lilac, this low platform bed with extra padding is perfect for lazy Sunday mornings. 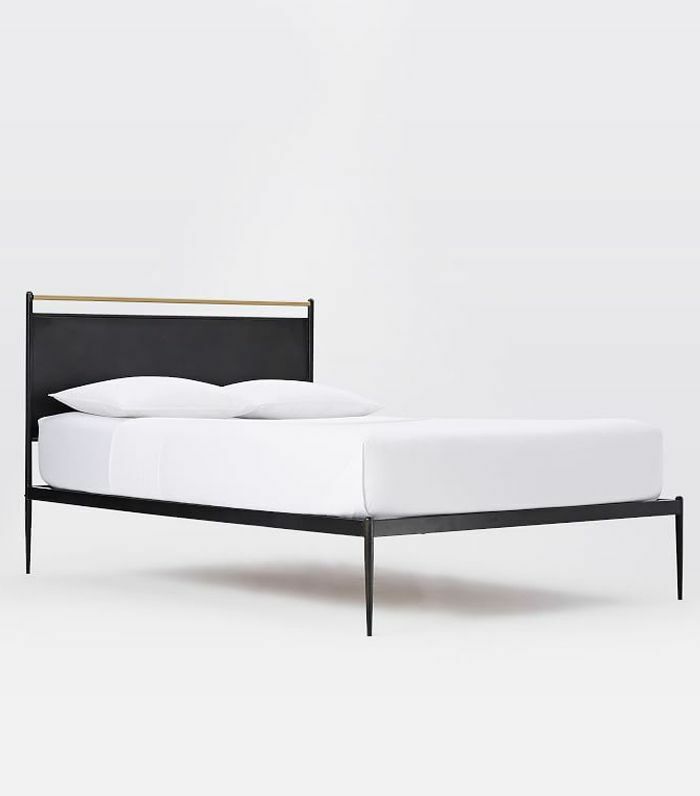 Streamlined and refined, this slim metal bed has an industrial edge with a luxe, minimal flair. Its slender frame is ideal for small spaces. 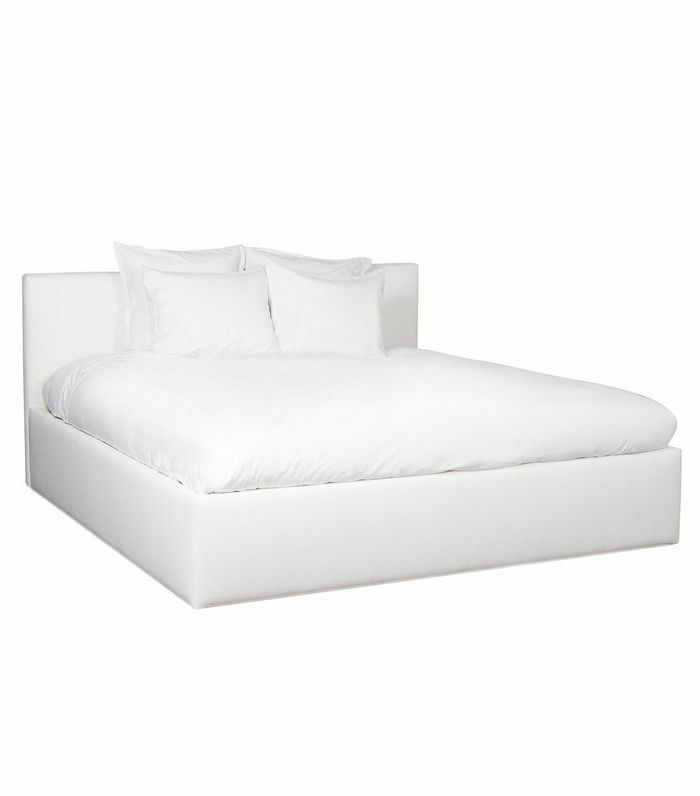 Let your minimalist dreams run wild with this plush white linen-upholstered bed frame. An all-white look is practically mandatory. 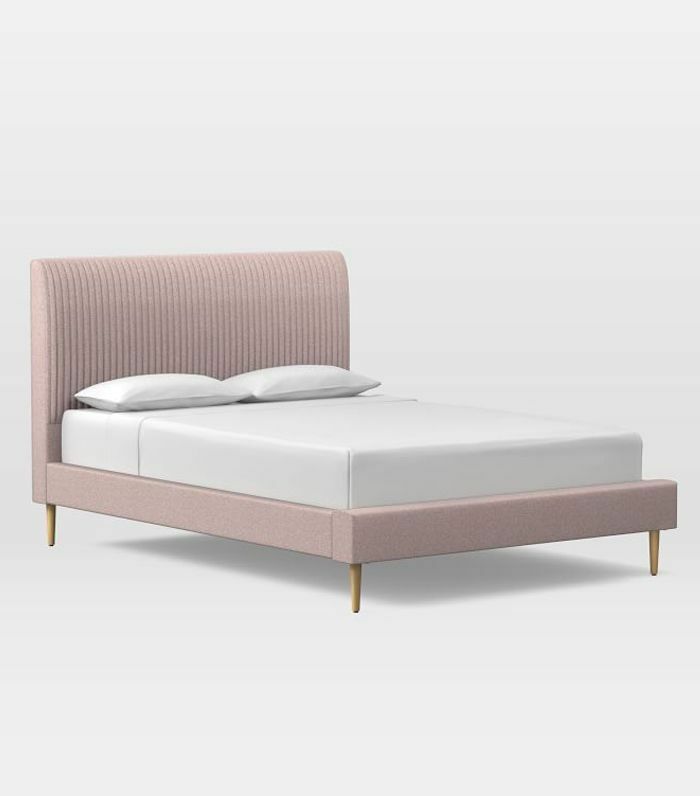 The winged edges of this plush velvet bed from CB2 make it feel extra snug and cozy. It doesn't get more luxe than this. 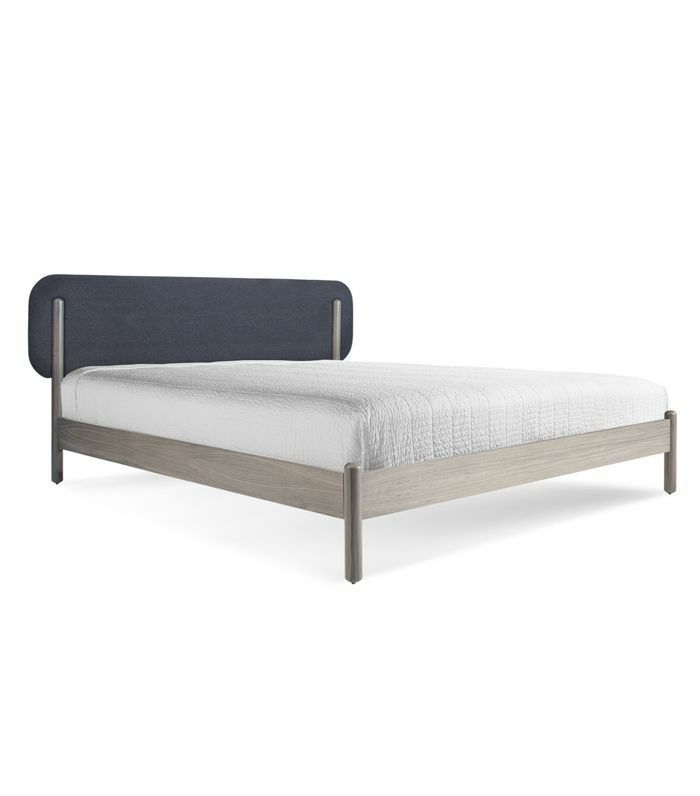 We love this minimal bed with softly rounded edges, so you'll never hit your shin on the corners again. The navy upholstery is just the right subtle hint of color. 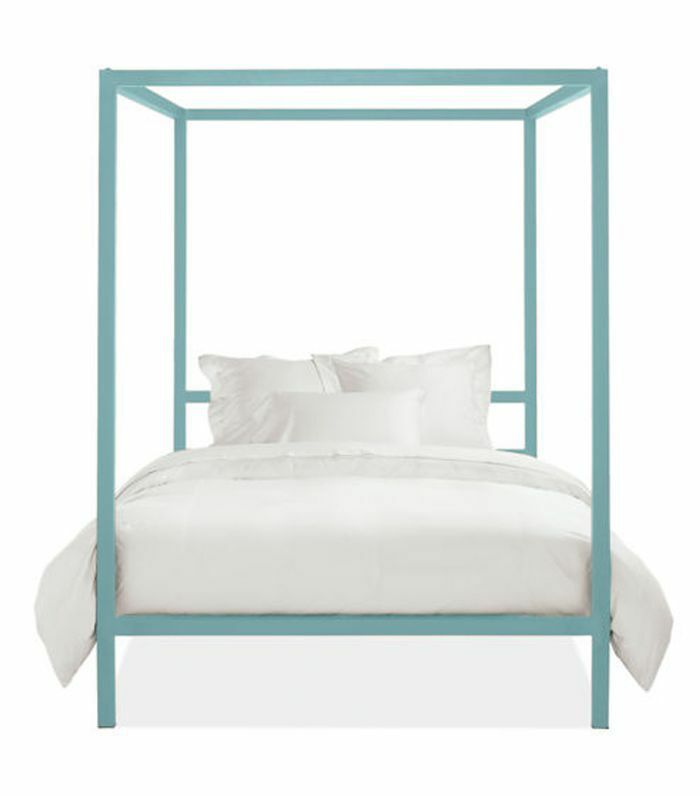 This bed from Room & Board is a minimal canopy bed at its best. It also comes in 15 colors including black, white, and silver metal. This bed is not only super comfortable, thanks to its padded exterior, but it's also ideal for small spaces: The entire bed lifts up to reveal a spacious storage compartment. 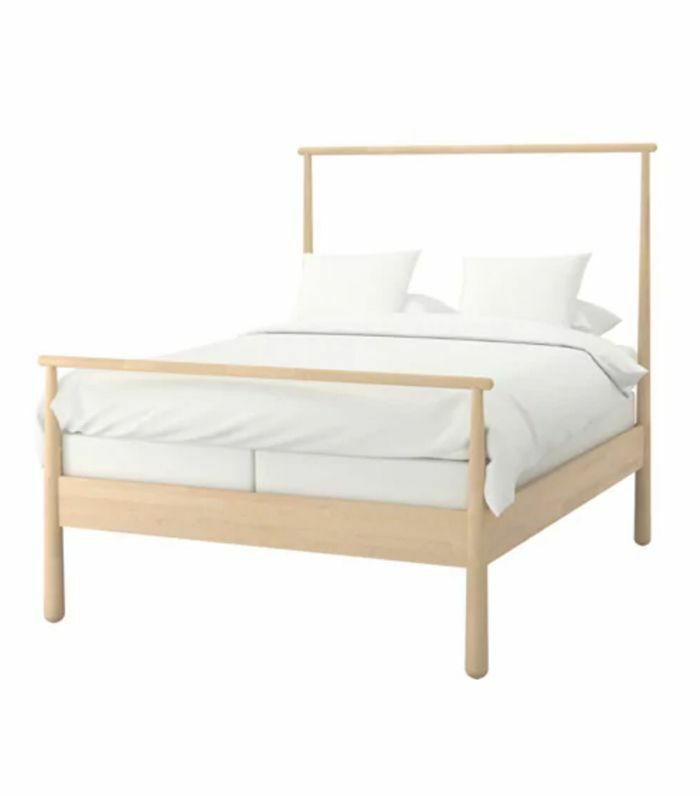 As far as affordable beds go, it doesn't get better than IKEA. 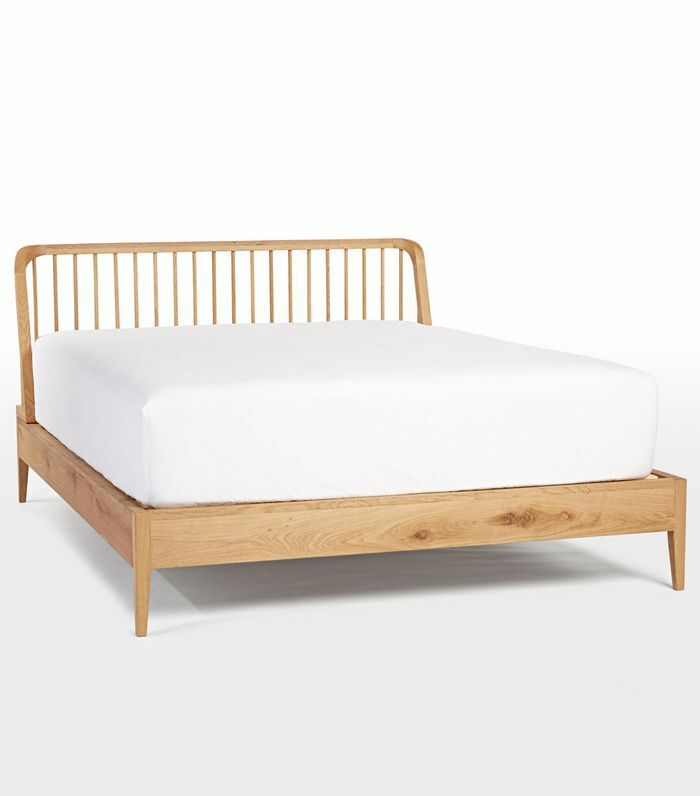 This Scandinavian-style bed is our favorite, and the price is unbeatable. 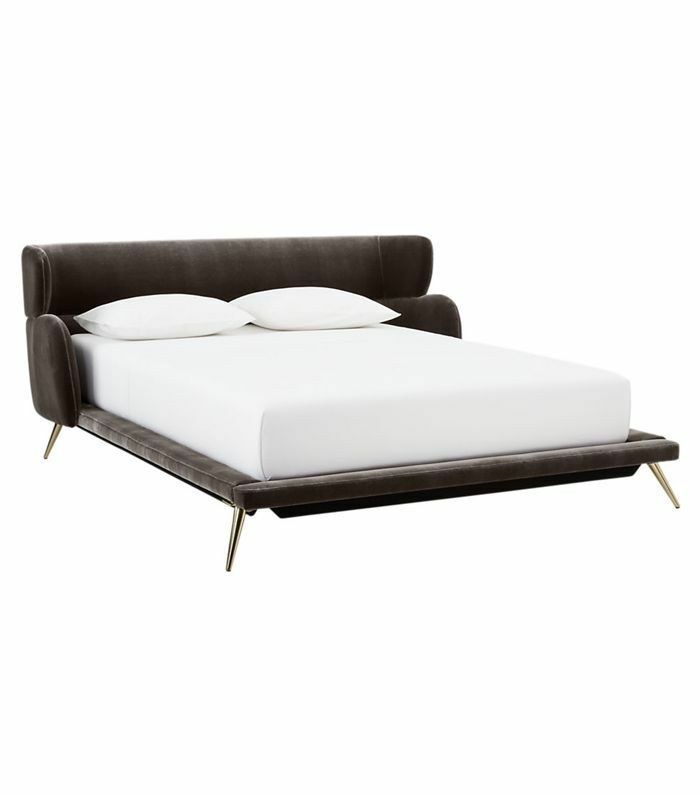 For a bedroom with a luxe vibe, try this Roar + Rabbit bed, which has a minimal take on an Old Hollywood bed. This is modern country minimalism at its best. The spindle style on this bed lends itself to a cabin in the woods and lets the solid oak frame shine. Channel tufting is all the rage this year, and this regal velvet bed is proof. 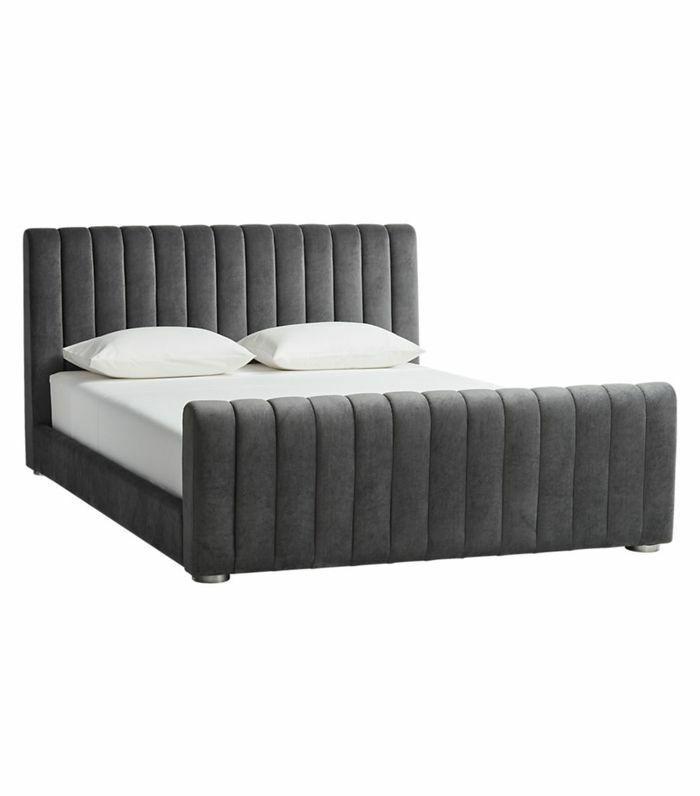 The low profile mixed with the high headboard make this piece minimalist but still ultra-comfortable. We're unsure as to why a winged headboard on a bed seems to make everything feel better, but it truly does. This bed comes in seven colors to suit any décor. Next up: four bedroom lighting ideas that always set the right mood.